When a defendant is arrested for a driving under the influence offense, the arresting officer will prepare an incident report that will serve as the basis for any potential criminal filing in court. These reports end up being very important to the case, as what is in the reports reflect what the officer will likely testify to in a defendant’s DUI trial. However, a careful examination of the report may show errors or inconsistencies that can be used to undermine the prosecution’s case. Typically, once a person has been arrested for DUI he or she will be released and given a citation with a future court date. An officer will typically prepare his or her report at or near the time of the arrest. This is to ensure that reports accurately reflect the officer’s memory of what transpired during the DUI arrest and investigation. This report will usually be provided to a supervising officer who will review and sign off on the report. The report will then be sent to the City Attorney or District Attorney responsible for filing criminal charges. The prosecutor will review the officer’s reports and use these to determine whether or not to file criminal charges against the driver and what level of charges are appropriate. Generally, an individual cannot get a copy of his or her incident reports directly from the law enforcement agency responsible for the arrest. The driver will often first see the reports after his or her arraignment hearing, where a copy of the incident reports is provided to the defense as part of the initial discovery packet. If the driver has filed a timely request for an administrative DMV hearing, he or she may also be provided a copy of the incident reports as part of the DMV discovery process. The DMV does not require incident reports in all cases; and sometimes will rely only on the officer’s statement in the DS-367 form that offers a statement of probable cause. Police officers often make hundreds of DUI arrests and it is not unusual to see the same language and phrasing used frequently in DUI incident reports. Officers will often describe a driver “travelling in a serpentine fashion” as a justification for stopping the vehicle. Officers will typically describe “bloodshot watery eyes,” “slurred speech” and “unsteady gait” in describing a driver’s physical appearance and performance on the field sobriety tests. Sometimes, this use of rote language can hurt the prosecution’s case. For example, the officer may automatically describe a driver as having “slurred speech,” however the evidence from the dash cam or body cam recording may show that the defendant was speaking clearly and without any slurring. In addition, a defendant’s driving conduct as seen in a dash cam video may not match the officer’s description included in the incident report. In these cases, an effective Los Angeles DUI Attorney can use these contradictions to uncover bias or errors made by the officer during the DUI arrest and investigation. In some DUI cases there will only be one incident report. In other cases, especially those involving collisions, other officers may prepare supplemental reports. These reports would all be provided to the defense as part of the discovery process. 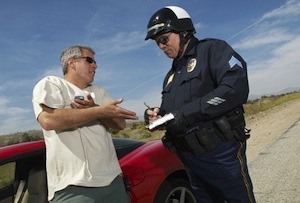 If you have been arrested for DUI, it is imperative that you meet with a Los Angeles DUI Attorney as soon as possible. As a former Deputy District Attorney with over 14 years of prosecutorial experience, Lawyer Michael Kraut knows what to look for when reviewing incident reports and understands how to effectively use what is in these reports to defend his clients. For more information about Los Angeles DUI incident reports, and to schedule your free consultation, contact Michael Kraut at the Kraut Law Group located at 6255 Sunset Boulevard, Suite 1480, Los Angeles, CA 90028. Mr. Kraut can be reached 24/7 at 888-334-6344 or 323-464-6453.